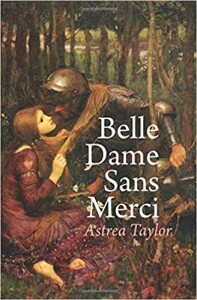 In this young adult dark fantasy version of Beauty and the Beast, Belle’s hobbies include reading books, traveling to exotic places, and killing evil people to get enough karma to go to heaven. She’s a temp in hell, which is a maze of cubicles far below the earth’s surface. She works alongside gossipy gargoyles, jackals, and golums. Her best friend, Typhoid Mary, from the Poisoner Division, lifts her spirits, but nothing can make up for working in hell. The office politics, mismanagement, and constant stench of sulfur make her job a living hell. Belle is hunting down a murderer when she gets a text that Lucifer wants to meet with her. Could today be the day – could she be released to heaven? Or, if her snarky coworker Nosferatu is right, she might be in trouble. There’s a rumor the Beast eats errant temps. When Lucifer locks Belle away in a dungeon, her rebellion comes out. She vows to kill the Beast. There’s only one problem. She has to rely upon her wits alone to survive the ordeal. This book is a twist on Beauty and the Beast themes, but there’s more fantasy, adventure, horror, twists, and turns than the original fairy tale could ever dream of. There’s a gaggle of witches who fly on broomsticks, harpies, magic, monsters, Mephistopheles, sacrifices, literary references, and more. Ananda is a bigger-than-life pop star, but the paparazzi won’t leave her alone and she’s tired of being smeared on the Enquirer every month for her drug addiction. After a mental breakdown, she goes home to her old friend Mag, and asks for her help. Knowing how many pop stars die young, Mag will do anything to help Ananda, including losing her dignity, facing her greatest fears, and uncovering the truth about what happened at the House of Transformation. A dual storyline portrays the women at their coming of age, when they lived together at a place called the House of Transformation — a place of art, love, and a terrible tragedy that still haunts them. 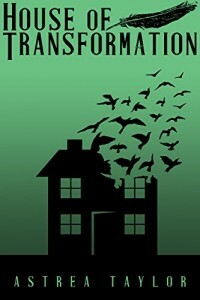 No one escaped the House of Transformation without scars, some of them worse than others. Mag does her best to help Ananda get clean, but twists and turns keep wellness outside of arm’s reach. With the clock ticking until a contractually obligated Grammy performance, will Ananda have another break down or a breakthrough?